Taylor County’s Big Grass Island lies “slap dang” in the middle of the stretch of Gulf shoreline between Steinhatchee and Keaton Beach. And while the low island serves as a navigational landmark, it’s the shallow water near it that attracts the interest of inshore anglers. 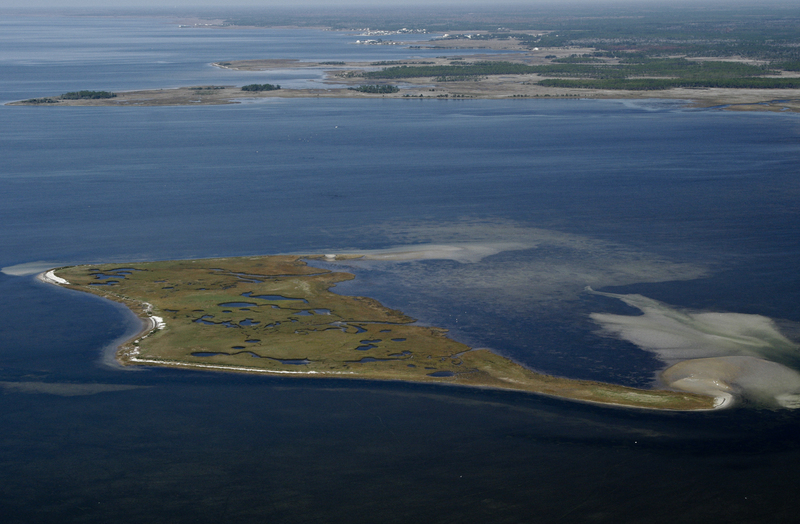 From a geographic and geologic perspective, Big Grass Island was likely once the tip of what is now Crooked Point, which lies about a half-mile inshore, along the edge of Crooked Creek. Piney Point, to the north, and Long Grass Point, to the south, mark the unofficial boundaries of a large shallow bay. While many “bays” typically have a deeper mid-point, this one is shallow throughout and generally not accessible, on low water, to boats with drafts deeper than flats skiffs, jon boats, airboats and paddle craft. However, as the tide floods, making access easier, seatrout and redfish move into the bay. There, they hunt baitfish over widely scattered clumps of rocks and along the grassy mainland shore. Good places to begin your search for structure is the short stretch of shoreline just north of Long Grass Point, the area around the mouth of Crooked Creek, or the northeastern corner of the bay, along the south shore of Piney Point. Depending on the amount of floating grass, this area is an all-round excellent place to throw topwater lures like MirrOlure Top Dogs or Heddon Super Spooks. But if the grass bogs you down, try that old-time favorite–a gold Eppinger Rex spoon. As is typical of our waters, the flats outside of Big Grass Island don’t get deep very fast. You’ll have to run almost two miles west to get to the one-fathom curve and 6 feet of water. Anglers using jigs like D.O.A.’s CAL series, bounced off the bottom of sandy holes or drifted over the seagrass tops under noisy corks, will find easy limits of seatrout mixed with some fat bluefish and Spanish mackerel. Fishing the shoreline of Big Grass Island can be iffy. There are two deep sloughs that run along the north and south shores of the island. Both have good potential for seatrout and pelagics on fast-moving tides. However, the island can host a fleet of picnickers and partiers on weekend days, making fishing away from the island a better choice.